their data as a value-neutral diagnosis? How will they correlate it with patient? 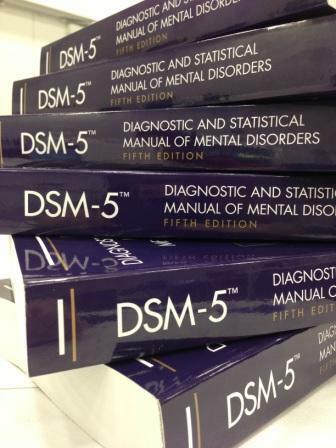 The DSM works–as a rhetorical strategy for defining illness because clients, eg fanily go into clinic and nominate one person as patient. Or the client agrees to be patient since he is unhappy. I bought Frances book but haven’t read it yet but I presume it’s the same old stuff. He just proposes to show more temperance, don’t you think?. You’re right NIMH talks as if they can come up with pathology w/o even identifying patient. Have you read anything or have any speculation what they plan to do? And why this split with Psychiatry. Nothing like this has ever occurred before? Frances book is not unusual., But NIMH is more puzzling. I can’t figure it out. Will they divorce “symptoms” from the client? Data is often wielded as a means of short circuiting debate, as if, it is value neutral and comes from nowhere. It’s tough to argue with an fMRI image. Or, at least, seemingly tough. Frances certainly isn’t radical, but I do wonder if it will carry any weight, as it is quite damning. Perhaps even moreso than Whitaker. NIHM is a brand new rhetorical move. And, there may be new ways to turn things against them (such as, if we’re playing the neurogame, what about plasticity, and perception and subjectivity may creep in soon enough – possibly in unexpected ways). But yes, there is likely more to work through here. I am in my final year of master’s studies in clinical mental health counseling. Although I agree wholeheartedly with the assessment of the DSM given by the director of the NIMH, I believe they are also making a huge mistake in the wrong direction by equating mental illness entirely with biological processes. Mental illness, by and large, IS a “social construct,” in the sense that these disorders typically emerge as “learning processes” and “developmental adaptations” gone awry. The exception are the biologically-based illnesses, such as mental retardation or Alzheimer’s. For those in my profession, I would hazard a guess that most still use the DSM strictly for insurance payment purposes. I personally long for the day when pathological labeling is no longer a requirement for providing treatment. Using the Gentle Calm theme designed by Phu Ly. WordPress took 0.515 seconds to generate this XHTML page.